February 23, 2017 3:38 pm. STAYING races are big news in New Zealand and the time honoured Group 1 Auckland Cup ranks highly in the local industry. The 3200m staying event is the flagship race during Auckland Cup Week in March and although the purse has dropped to $500,000, it remains one of the must-win races on the New Zealand Racing calendar. The 2016 running of the Auckland Cup was taken out by long-shot nine-year-old Soldado, while the next running of it will be on March 11, 2017. Having been run on Boxing Day since 1958, the Auckland Racing Club changed the dates to align with the New Zealand Derby and since 2006 it has been run in March. With recent past winners including Melbourne Cup winner Jezabeel, top four-year-old Sangster and multiple Melbourne Cup entrant Who Shot The Barman – it’s a race to win on the world stage and New Zealand stayers have a great record when they travel to Australia and the rest of the world. The history goes back further with wins coming from Castletown, Kindergarten and Cuddle. Which talented staying thoroughbred will be next to take out New Zealand’s premier distance event? Online bookmaker Ladbrokes has Charles Road as the $3.80 favourite for the 2019 Auckland Cup. Glory Days ($4.20) is on the second line of betting while Vengeur Masque is on the third line of betting at $6.50. Last year’s runner up Five To Midnight is locked on the fourth line of betting alongside Gundown at $7. No other runner is in single figures. The Auckland Cup generates betting interest from the likes of Australian, Japanese and Hong Kong punters, so bookmakers know how important framing an early market can be. Popular races like the Auckland Cup are attractive to futures punters who are hoping to lock in the big value on offer. Bookmakers will also offer fixed odds win and place markets when the field is confirmed. The bookmakers listed below have markets available for the Auckland Cup. If there are no odds listed, bookmakers can be contacted and odds on your desired runner will be given. 2019: In a sensational staying performance Glory Days delivered Sam Collett’s maiden win at Group 1 level. Staying on strongly throughout the run Glory Days hit the front midway down the straight and sustained to the line, holding out last year’s runner up Five To Midnight. 2018: It was a famous victory for Ladies First in 2018, gripping on for a gritty win. In one of the closest margins in the race’s history, Five to Midnight surged to the line to almost topple the winner, whose trainer Lisa Latta even thought had been beaten. Ladies First clung on however in a photo finish. 2017: Chenille justified its favouritism in 2017 when scoring an impressive victory. The Tony Pike-trained runner was well-found in the betting markets and punters came away happy with the result. A couple of long shot chances filled the placings which made for improved pay outs from bookmakers. It wasn’t the typical Auckland Cup field which included Melbourne Cup-type runners, but the winner was a class above the rest. 2016: El Soldado caused the biggest Auckland Cup upset of all time when winning at odds of $125. The nine-year-old turned back the clock in what was massive win for connections and bookmakers. Most of the money came for Sacred Master and the well-performed Benzini, but a steady ride from Darryl Bradley was enough to see the old boy home at Ellerslie. Future Melbourne Cup entrant Rose Of Virginia finished in second at odds of $6.10 to place and favourite Sacred Master was a further length behind. 2015: Rock Diva continued its success on Auckland Cup Day, having won the McKee Sunline Vase the year prior on the same day. The Tony Pike-trained mare ran as the $4.90 favourite with bookmakers and it was able to find the advantage of the line in holding off King Kamada by just under a length. There were no superstars in behind the daughter of Lucky Unicorn, but the Raffles-owned runner got the job done nicely. 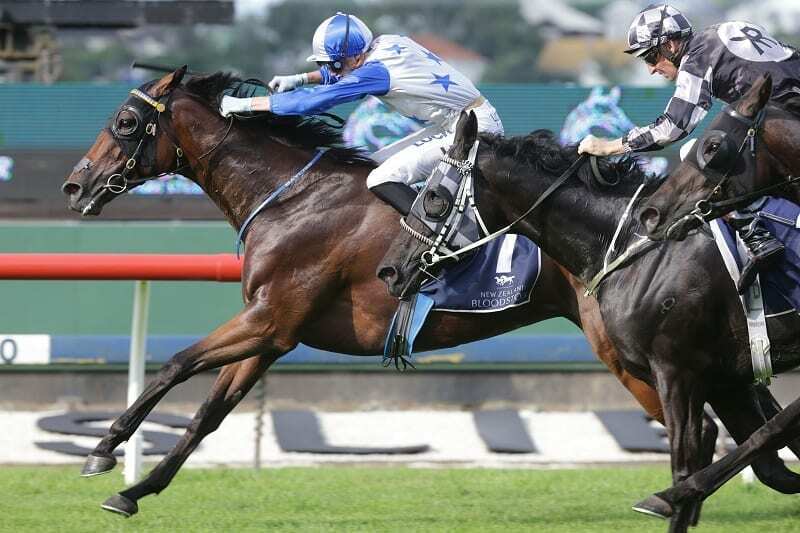 2014: Who Shot Thebarman was a short-priced favourite when winning the Auckland Cup in 2014. The talented Mark Oulaghan-trained gelding showed its class when winning by a length and bigger and better things would later come in Australia. The son of Yamanin Vital paid $2.50 with bookmakers which was one of the shortest-priced winner in recent history and the trifecta of $132.30 was also one of the lowest in history. Celtic Prince and More Than Sacred ran on into the placings with Travolta and Australian jockey Nash Rawiller finishing fourth. 2013: Sangster justified its $2 favouritism tag when winning by 2.25 lengths. The Busuttin/Young-trained son of Savabeel put the training duo on the map by scoring an easy Auckland Cup victory. The classy gelding never looked like being beaten against a field lacking the top notch form. El Soldado finished second at place odds of $17 and Chaparrone, with Craig Williams in the saddle, finished off well for third. The dominant win was one of the best in Auckland Cup history. 2012: Shez Sinsational was just that in 2012 when winning in a driving finish. The Allan Sharrock-trained mare launched late down the outside with James McDonald in the saddle to score by a long head over Spiro and Six O’Clock News. The four-year-old by Ekraar was well-backed into $3.20 after showing good ability throughout the summer and it was able to handle the likes of Booming which had Hugh Bowman in the saddle. The turn-of-foot shown by Shez Sinsational was one of the best in the races’ history.